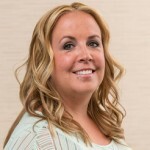 Holly has risen to the position of Office Manager through her diligence and hard work and continues the the warm personal relationships she has enjoyed with the practices’ patients for 13 years. Holly worked with Dr. Boynton for 12 years and joined the staff of Dr. Hendlin in February 2014. She completed the Dental Assistant program through Penn Foster Career School in 2006 and is certified as a dental assistant. In addition to her responsibilities at the front desk, which are enhanced by her desire to assist our patients in the friendliest manner, she has become an indispensable part of the office management team. Lifelong residents of Columbia County, Holly and her husband, Tim, have enjoyed married life for over 37 years. They both enjoy the outdoors and take great pleasure in their son, Michael. 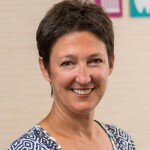 Nancy Finelli – Controller. Nancy has been assisting us with the transition to Valatie from Catskill on an as needed basis since day one and we are delighted to have her as a permanent addition to our staff. Nancy was the office manager at Catalano Leifer and Bruno in Catskill for 12 years which was at the time the largest practice in Greene County and which grew to that status under her guidance. She worked with Dr. Hendlin for 10 of those years. Jillian is a local Stuyvesant resident where she lives with her son Maddox. She has been in the Dental Field since 2003 with extensive front office and clinical experience in General and Cosmetic Dentistry, Endodontics, and Oral Surgery. She is Certified in Invisalign. She also has advanced Front Office computer skills and assists Holly in the front office when needed. Joelle and her family are local Valatie residents. She graduated from Becker College in Worcester Ma. where she started on a career path towards Sports Management but found herself drawn in a different direction. She attended attended Hudson Valley community College where she received her Associate of Applied Science degree and became a Registered Dental Hygienist. She is proud of her 20 years experience in Clinical Practice and she couldn’t be happier with her choice of professional career. 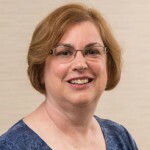 She truly enjoys educating and caring for her patients on a daily basis and it is apparent to everyone that she is loved by her patients. She has worked in the past in Delmar and for Dr. Starkman in Valatie and for many years with Dr. Hendlin in Catskill. Outside of work she and her husband Scott have two wonderful son’s, Zak and Aidan, and a crazy dog named Charlie! The entire family enjoys hiking the high peaks, skiing, and snowboarding, and doing the occasional “Warrior Dash”. Life for “The Swere’s” is good! Joyce McCampbell – Registered Hygienist – Joyce graduated from the Hudson Valley Community College Dental Hygiene program and completed a Dental Hygiene Residency at Albany Medical Center where she received extensive training in the treatment of patients with infectious and other complex medical conditions. She worked with Dr. Hendlin for 7 years in Catskill before joining her in Valatie. A lifelong resident of the Hudson Valley where she enjoyed growing up she raised two beautiful daughters and now has the pleasure of spoiling two grandsons.